I WANT TO SEE SPIRE 1511! 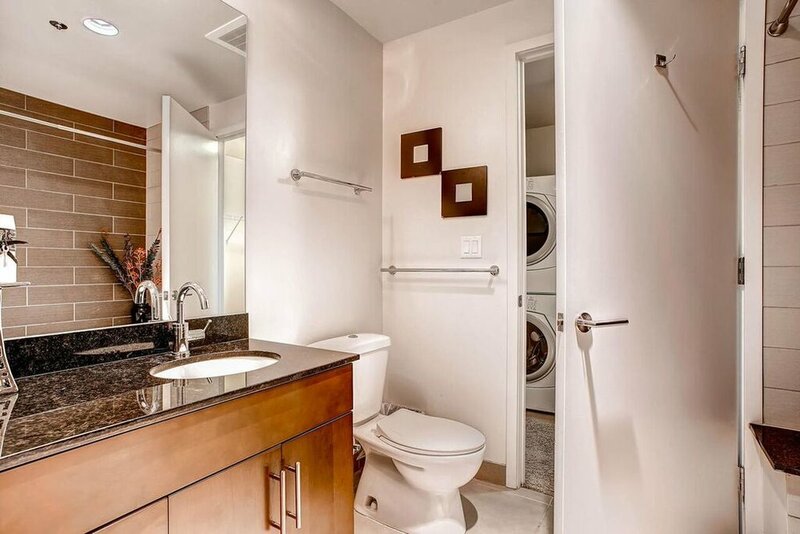 1 BEDROOM / 1 BATHROOM / 1 PARKING SPOT / 1 STORAGE / 816 S.F. Situated on the 15th floor of Spire, the premier community in downtown, this home offers views and finishes to satisfy even the most discerning buyer. 10-foot ceilings and a wall of glass frame the charm of Downtown Denver. 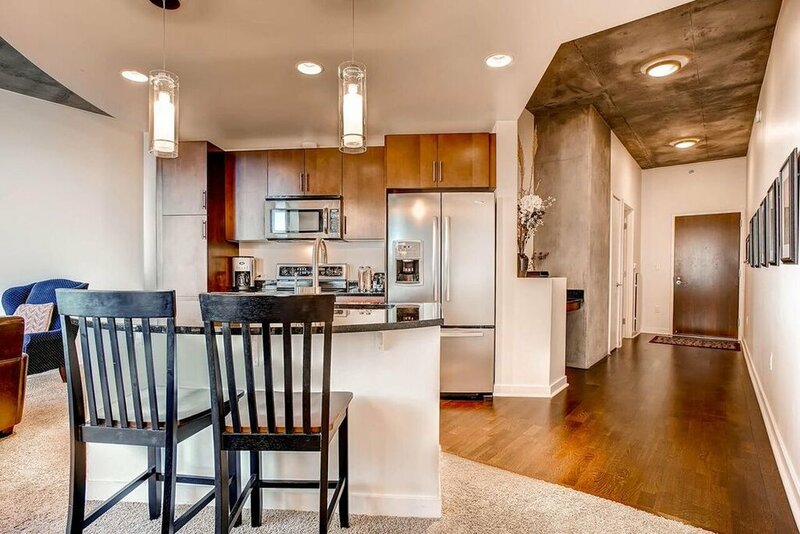 This popular Larimer floor plan has a flowing, livable layout. The kitchen comes complete with stainless steel appliances, cocoa wood flooring and matching cabinetry with contemporary hardware. The master bedroom is the place you dream of - complete with a frosted glass sliding door, lending to the modern feel. Complete furniture package available. Spire is the pinnacle of urban living with a 24-hour staffed front desk and fitness facility, spacious lounges, guest suites and year-round outdoor pools. It's steps from the city center with hundreds of restaurants, bars, and shops. Not only that, but it's a few blocks from the revitalized Union Station and RTD's A-Line train to DIA. Live Downtown. Love Downtown. Be Downtown.